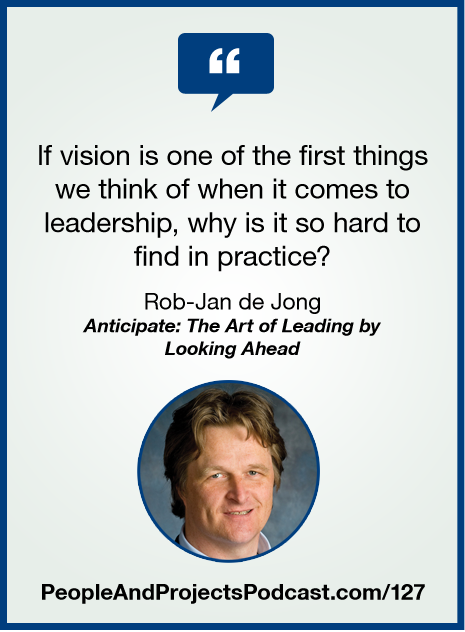 I'm excited to introduce you to Rob-Jan de Jong, author of Anticipate: The Art of Leading by Looking Ahead. Too often we only talk about vision--Rob shows us how to actually create one. Learn more about Rob and his book at http://robjandejong.com. Thank you for joining me for this episode of The People and Projects Podcast! I'm back to my vacation. Have a great week!